This Benedictine spread with cucumber can be used as a dip or a sandwich and canape topping. It was created by Jennie Carter Benedict, a cookbook author, caterer, and restaurateur. She operated a Louisville restaurant and tea room, Benedict's, in the early 20th century. It's a simple combination of cucumber, onion, and other ingredients, and it is an excellent appetizer to serve a Kentucky Derby gathering. Some versions are made green with spinach or parsley, and some use green food coloring to get the vivid green color. The original recipe uses 3 tablespoons of cucumber juice and 1 tablespoon of onion juice instead of grated cucumber and onion, and it includes a pinch of cayenne pepper. Peel the cucumber; cut it in half lengthwise and scrape out the seeds. Grate the cucumber coarsely or chop it. Put the grated cucumber in the bowl of a food processor with the cream cheese, grated onion, salt, pepper, and mayonnaise. Pulse until smooth. Add a drop or two of green food coloring to get a vivid green color. Alternatively, mix the ingredients with an electric mixer. Benedictine can be used as a spread for sandwiches or canapes, or thin it with some sour cream for a delicious dip. 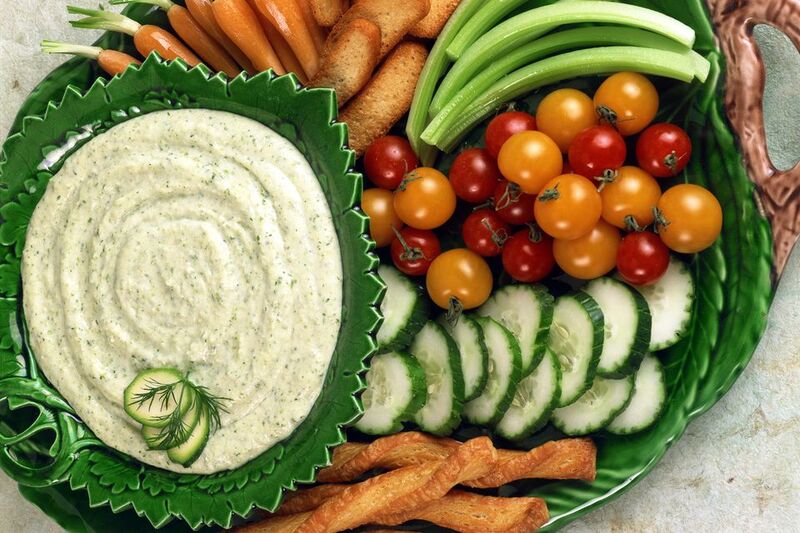 Flavor the dip with about 1 tablespoon of finely chopped fresh dill. Use minced green onions instead of sweet or yellow onions. Add a dash of hot sauce or a pinch of ground cayenne pepper. Add a few tablespoons of finely chopped fresh parsley to the food processor with the cream cheese and cucumber.